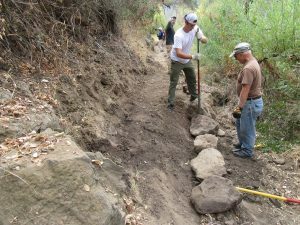 Crags Rd trailwork summary from April 20. 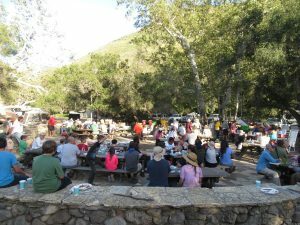 This past Saturday, about 40 volunteers gathered at the M*A*S*H site in Malibu Creek State Park to fix up the Crags Rd trail section fondly known as the “Rock Garden” or “Creek of Doom” just before you arrive at the M*A*S*H site from the main entrance to the park on Malibu Canyon Rd. Smoothing out the tread to fill in between the rocks sticking up. Volunteers hailed from CORBA, the Santa Monica Mountains Trails Council, Girlz Gone Riding and the Mountain Bike Unit. Overall the trail was in pretty good shape after the Woolsey Fire burned all the hillside brush in November and then winter rains flooded everything, but there were a few very serious problems that we needed to address. 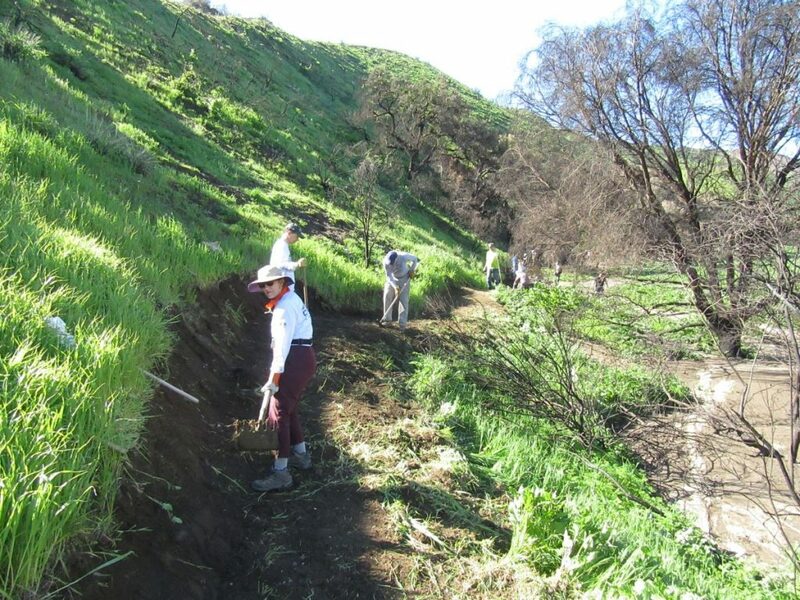 The worst was a 3-foot culvert that was uprooted and deposited in the middle of the trail, blocking it, and leaving a deep rut where it had been. Also, a large oak tree was uprooted and fell across the trail. The serious issues were dealt with as best we could with hand tools, and the whole trail was generally brushed to widen it, the tread was smoothed and debris was removed. 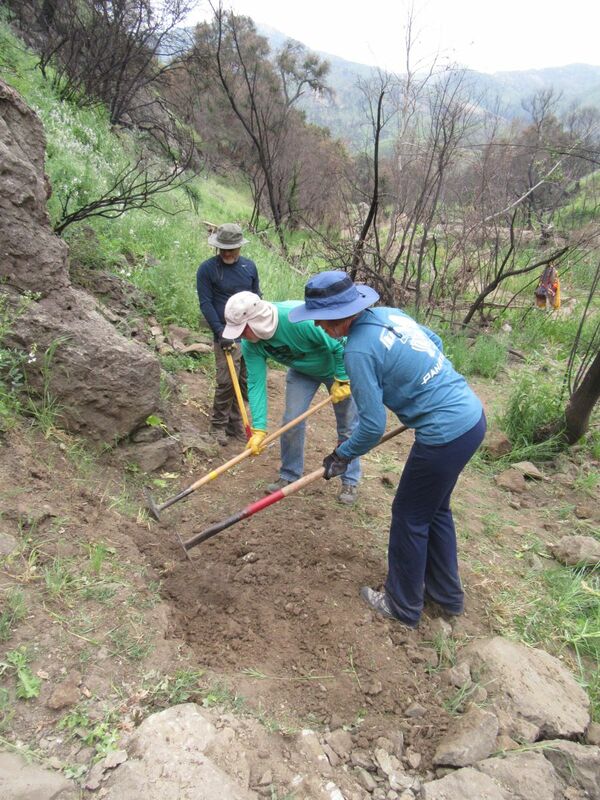 Overall we restored about a half-mile of trail in 4.25 hours, including lunch (subway sandwiches provided by CORBA) and shuttling to and from the work site. 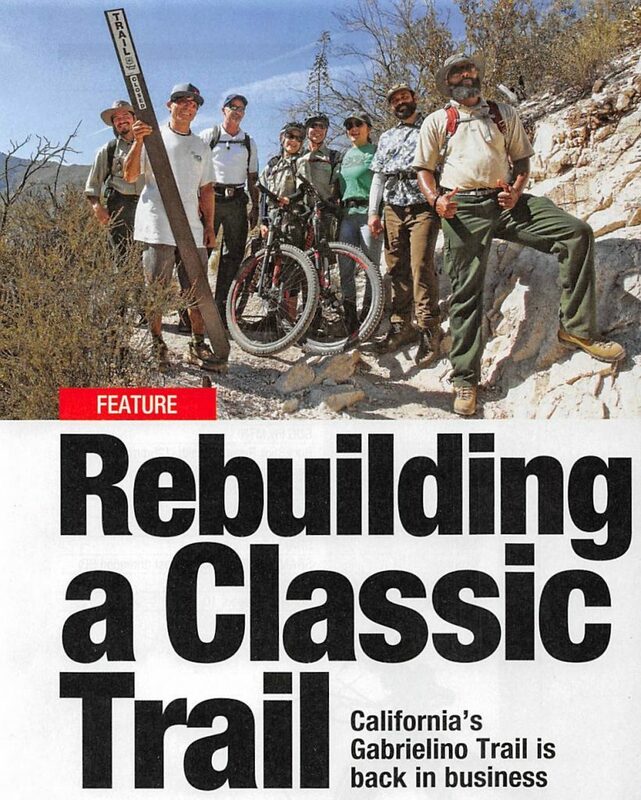 Thanks to all the volunteers who worked hard and did such a great job of restoring this trail in record time! 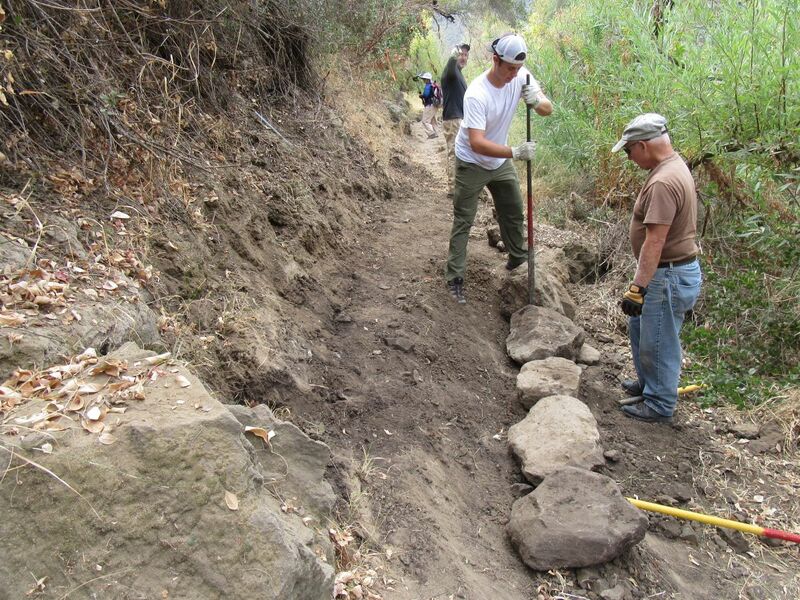 You can view the rest of the photos in the Crags Rd trailwork photo gallery. 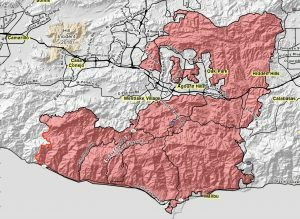 – March 25: All COSCA trails in Thousand Oaks except the Hill Canyon Bridge are now open.